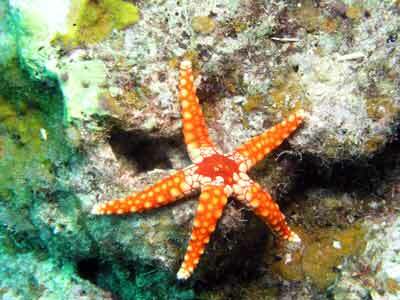 There are many different dive sites in Port Vila, the capital of Vanuatu. One of these is called Pango Reef. This is located out of Port Vila Harbour towards Pango Point, past Ifira Island and near Paradise Cove Resortvon the southern side of Mele Bay. Right adjacent to the reef is the wreck of the MV Semle Federsen. 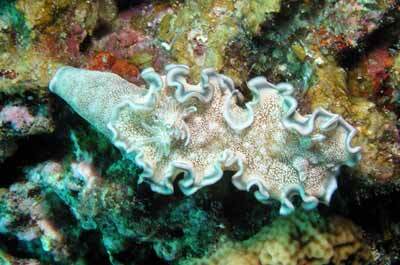 Sometimes the dive operators will put some people on the wreck while others do the reef. There are moorings on the wreck as well as one on the reef. Once you descend the mooring you will be in about six metres. The bottom here is composed of a series of gutters that run east-west. If you swim down these gutters the depth drops to 10 metres and then fairly rapidly to 30 and even 35 metres. This is the edge of the coral reef and further past here is the wreck of the Federsen. Along the gutters there are some interesting things. 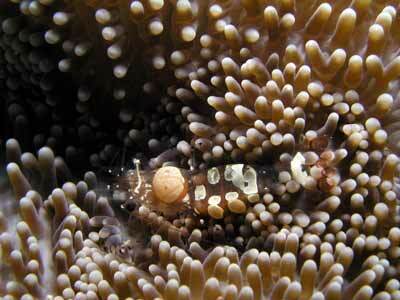 There are a few anemones and these are home to not only clownfish, but transparent shrimp. Carefully check each anemone and you might find some. If you are diving here you probably would not go this deep, so it is a matter of jumping over to the next gutter and then coming back towards the shallows. 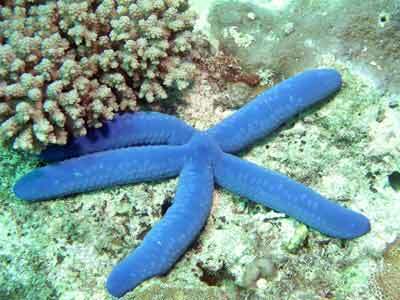 There are many different species of starfish at this site. 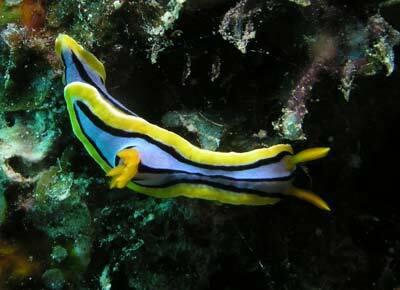 There are also lots of different nudibranchs. 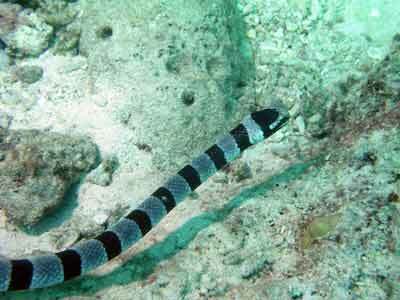 On a dive here we came across a banded sea snake and this was quite friendly (like most sea snakes seem to be). It was easy to take a photograph of it, even though it is one of the deadliest creatures in the sea (or on the land for that matter). Once back up in the shallows you could go down another gutter and return back up another. Once you are near the end of your air or bottom time, spend the rest of the dive in the shallows under the mooring. This site does not have the greatest visibility, on my dive here it varied from 15 metres out deeper to about 7 metres shallow. The water temperature varies from 26°C to 28°C.